In the wake of widespread reports pointing at central banks rushing to restock their coffers ever since the German government submitted gold demands to London and New York bankers, Latin American countries seem to also be catching the gold bug. Mexico leads the way, buying close to 100 tonnes in a couple of months last year. Now Brazil has increased its gold reserves for the second straight month, reaching the highest level in 11 years, as data from the International Monetary Fund shows. Brazil, home Latin America’s largest economy, seems to have much further to go, as gold still accounts for a mere 0.8% of its reserves. In addition to Brazil, others nations including Colombia, Mexico, Argentina and Paraguay have recently been adding to their bullion holdings. And this might be only the beginning. “A wave of gold-buying among Latin American central banks is likely to be of less significance to the market than the trend in Asia has been, simply because a larger proportion of the world’s reserves are held by Asian countries,” writes Financial Times columnist Jack Farchy (subs. required). He adds that fresh acquisitions coming from Latin America could help keep the current pace of roughly 500 tonnes a year – equivalent to the jewellery consumption of Europe and North America combined. The outlook for the region is not clear, as some of the biggest regional economies, remain cautious. Peru for instance, which holds the third-largest international reserves in Latin America at $61 billion, has not bought any bullion since 2001. And Chile, which reserves are estimated in $40 billion, holds less than one tonne of the precious yellow metal. 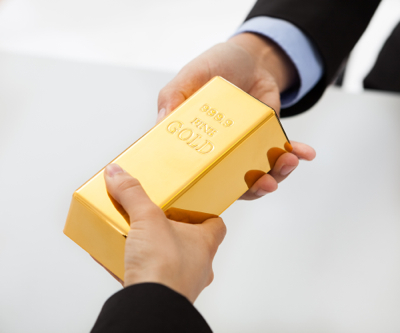 Central banks bullion purchasing has become a pillar of the gold market today. Only a few years ago, these financial institutions were net sellers of gold under a long-standing inter-bank agreement. But lately they have been among the biggest buyers mainly because of weaker currencies and the potential for faster inflation. According to data compiled by the World Gold Council, gold buying by the global central banks will hit a new high this year, reaching over the 500 tons mark, compared to the 465 tons bought in 2011.